Email marketing has been the number one sales and marketing channel for many years and with good reason—it works. In fact, I’ve seen email studies reporting the return on investment in email marketing from anywhere between $14 to $44 dollars for every dollar spent. More importantly, for our clients, email works. But that doesn’t mean that email marketing isn’t challenging. And it’s getting more challenging every day. Why is Email More Challenging Today? Why is email more challenging today? Email deliverability has become increasingly difficult. The competition for eyeballs has never been greater, and the “rules” of email marketing are changing all the time. Most Email Service Providers (ESPs) will no longer allow the sending of non-opt-in emails, so if your organization doesn’t have a robust (and constantly growing) opt-in email list, you are in trouble. Here’s an example of the challenge email marketers face: Say you have 200 email addresses from Microsoft (or any other company) in your database. You send a 60,000 recipient email campaign (including those 200 records from Microsoft), and all of those 200 emails hit the Microsoft servers at the same time. Up goes the spam wall and bam, your email is blocked. Send one email at a time to those same 200 contacts at Microsoft, and they get your email. Another thing that makes email marketing more challenging today is user behavior. Say you send just twenty emails to the same domain from your database. Out of those twenty emails, only two of them were clicked on because the other eighteen recipients were too busy to get to the bottom of their inboxes or just weren’t interested enough to click and read. That behavior by recipients creates a signal to ESPs as well. So whether it’s multiple emails going to the same domain at the same time or lack of user engagement, the ESP are less likely to deliver your mail. So your behavior: How you send your email campaigns, combined with how users interact with them, impacts your email deliverability. About a year ago, I started testing a new email strategy where I send out a simple text-based email. No design, no images, just text. Then I set the email engine to send one email every 30-70 seconds, which is different than the example of a bulk email sends of 60k records like the example I gave in the paragraph above. This slight change in tactic changes everything when it comes to getting your emails past the ESP and into the inbox. It looks like one-off email messages because they are one off email messages! The open rates we’ve experienced while using this email engine have been through the roof (did I mention the 35 percent range?) — but it’s important to know that because of the way it sends emails, we can only send so much volume per day (i.e. 400 emails a day). As with any platform our team is testing out, we play around with it—a lot. And in doing the math, I realized that if we can send 400 emails a day, multiplied by 22.5 days (the average number of working days in a month), that’s 9,000 email sends a month. We can push this closer to 10k emails a month if we send on Sunday afternoons, which we often do. With a 35 percent open rate on these campaigns, we are looking at 3,500 email opens. How does that relate to some of the other email marketing we’re doing using our marketing automation platform, where our open rate hovers at about six percent? Well, we’d have to send nearly 60,000 emails to get the same number of email opens. As I said, we’ve tested and explored this a great deal. We believe the reason we get such good open rates is attributable to the fact that ESPs and spam software cannot distinguish a one off outbound/cold email from a transactional or personal email sent from one person to another. A mass email campaign—the same email sent to multiple recipients within an organization—is much easier to identify and block. We focus a lot on delivering turnkey marketing automation solutions to our clients, so we are all in on marketing automation. And we were excited about what adding a sales automation platform to our client campaigns was delivering for us, and for them. In addition to using this technology for our clients, we began using it for our own new business development efforts. After our first two weeks of sending emails at 400 a day, we closed a $10,000 deal. Honestly, I was shocked (and excited) by the results. It was hard to believe you can get results like this with a simple text email versus a nicely branded marketing campaign. It was then I decided to research sales automation tools and or platforms. So, over a three to four-month period, I reviewed, downloaded and tested over 30 CRM, email, and/or sales automation solutions. Full transparency, I used to work for Eloqua (Now Oracle), one of the older and more capable marketing automation platforms on the market. I have always been a marketing automation advocate, but these tools had me curious. That said, you would think that I’d prefer marketing automation over sales automation but I don’t. In fact, I think companies today need to deploy both sales and marketing automation platforms. Keep in mind some marketing automation platforms have similar capabilities to a sales automation platform. So before I get into why I think companies need both solutions, let’s talk about the differences in these platforms. So, what are the differences between Sales Automation Platforms (SAPs) and Marketing Automation Platforms (MAPs)? SAPs are usually designed to send a low volume of automated emails on behalf of a salesperson. These platforms are not sending mass emails like a marketing automation platform (MAP) using a generic email address. SAPs piggyback off a salesperson’s existing email client like Gmail, Gsuite, Office365 or in some cases, exchange servers, depending on the sales automation platform you decide to use. Some MAPs have Outlook or Gmail plugins that allow a salesperson to tap into a marketing library of pre-built and branded content, but most MAPs don’t have this capability. What do I Need to Know About Sales Automation Platforms? Sales automation systems can send anywhere from a few hundred emails a day to a couple of thousand emails a day. And, as with anything, it’s important to lay a good foundation. Most SAPs recommend you send 400 or fewer emails per day, which allows you to avoid any potential blacklisting or damage to your email reputation. When launching a new SAP, they will also urge you to slowly increase the volume of emails from 15-20 a day up to 400 a day by the end of the month. Bottom line, your success depends wholly on how patient you are. You don’t want to jump right out of the gate sending 400 emails a day, but rather slowly increase the volume of sends over the course of two to four weeks. While the sales automation emails are html in nature, they are text-based and similar to what you would expect to receive from a salesperson sending you an email out of their Outlook or Gmail account. These emails are not a fancy or branded like you would expect to see coming from a marketing department. SAPs vary greatly in capabilities. In addition to just sending emails, we wanted full drip capabilities, or the ability to drop people into automated sequences based on opens, non opens, and replies. As founder of the Integrated Marketing Association and a lifelong advocate of the importance of integrated marketing strategies, I felt it was also important to have multi-channel sequences. So instead of relying solely on email, I wanted to prompt our salespeople or our clients’ salespeople to follow leads on LinkedIn, Facebook, or Twitter, pick up the phone and call as well as send them a personalize thank you letter via the U.S. Post Office. As an aside, to this day, some of my best clients and relationships were a result of me taking five minutes to hand write a prospect, friend or client a personal letter sent via snail mail. I’d rather send a personal letter than compete with 145 other emails any day. So to meet our needs, the sales automation platform had to have the ability to support a salesperson with automated cadences both online and offline, and come with a dashboard of tasks and action items the salesperson needed to complete each day to stay on top of any prospects and leads we generated. After all, if we (or any of our clients) are going to spend our hard-earned, hard fought-for marketing dollars on data and technology, our sales teams better do their part and follow up with the leads we generate. And we definitely don’t want them giving up after two attempts. Do Your Salespeople Give Up Too Easily? Chances are good the answer to that question is a resounding “yes.” Here’s some information on that front. The stats are scary and prove that companies need processes and technology in place to ensure sales stays on top of the leads marketing generates. com reported in April 2015 that is takes 6-8 touches to generate a viable sales lead. Laurie Beasley posted on the Data & Marketing Association that it takes 7-13 touches to deliver a sales qualified lead (SQL). Jeff Hoffman of Your SalesMBA posted on Hubspot in November 2016 that it takes at least 5 touches, but admits the number of touches depends on the individual and may require less or more touches but that 5 touches was a good starting point or benchmark. InsideSales reported that 85+ percent of organizations don’t make enough calls. Sales industry research from multiple studies consistently shows that the absolute bare minimumnumber of call attempts to at least 50% of your leads should be six. However, if you look at the average number of calls made by a sales representative it’s between 1.7 and 2.1 attempts before they give up. Well, it’s no wonder they’re not selling as much—they are leaving opportunity on the table, time and time again. All of this data suggests you have to start with fixing your processes first. If you are selling a considered purchase with an extended sales cycle, chances are your salespeople are not touching prospects or contacting leads enough before giving up. 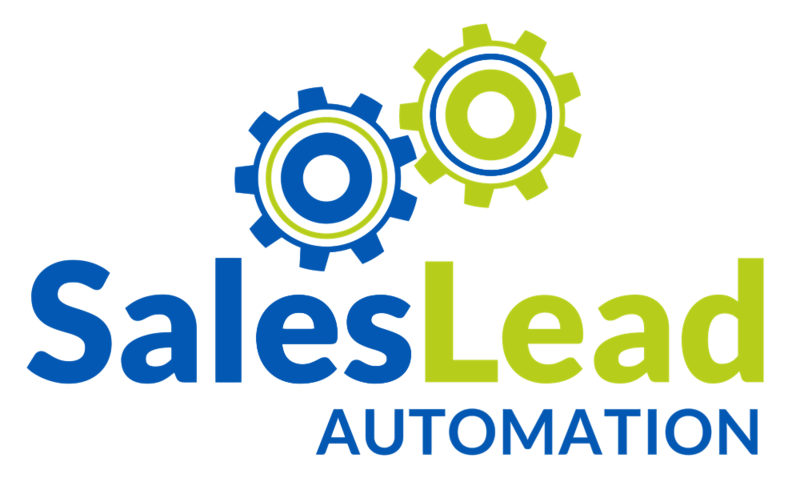 So no matter how great your marketing automation platform is, it’s not going to matter if you send over leads to salespeople with poor lead management processes. Then, when you evaluate how your sales people spend their time—arguably their most precious commodity—the situation looks even worse. According to a Hubspot Sales Survey in Q1 of 2017, 66 percent of a salesperson’s time is spent on writing emails, data entry, prospecting and researching leads, training, and reading. Are you kidding me? 66 Percent. That’s a lot of time! Mark Ellwood at GetMoreDone reports salespeople only spend 22 percent of their day actually selling. Sales Automation Platforms help automate the process of writing emails, sending emails, supporting your prospecting efforts with a steady flow of outbound emails, and if you add a calendar solution like Calendly, it can help schedule meetings. Don’t get me wrong, championing a sales lead automation strategy is definitely not a knock against marketers—they are busy people. They are developing comprehensive marketing strategies, developing and launching email and social media campaigns, managing PPC campaigns, creating content in various formats to “feed” this beast, distributing that content, optimizing the content for better search rankings (SEO), sponsoring events, hosting webinars, holding annual partner meetings—the list goes on and on. There is only so much time for a marketer to focus on lead generation activities. Not to mention it takes time to nurture, track, and score leads before passing them over to sales. What’s the solution? Do both! Ideally, a company should launch both a sales lead automation program and a marketing automation program. You can use your MAP as your demand generation strategy, designed to create demand for your products and services, while establishing your thought leadership in the industry. MAPs are designed to send dynamic, relevant, branded communications in small or large volumes to prospects who opted in to receive your messages while tracking, scoring, and nurturing leads. These campaigns should focus on moving interested prospects through the funnel as quickly as possible. Think of sales automation platforms as a way to make your sales team more efficient and effective by generating conversations immediately. SA is all about generating a response, any kind of response will do. Keep your emails simple and ask a question or ask for help. At the end of the day, a salesperson just wants someone to talk to and a chance to see if there is an opportunity, a common connection, or potential referral etc. If marketers and sales managers don’t find a way to leverage technology to give salespeople an opportunity to have these types of conversations, they will quickly become discouraged. Selling is not easy, and doing everything we can, from a technology and an automation standpoint to enable our sales teams is a win-win for everyone. So sure, it’s important to making marketing more effective and efficient with the use of technology. But based on our real world experiences, we think it’s more important to start with making your sales process more efficient and effective, giving marketing time to create demand using marketing automation. Start with generating responses good, bad or ugly with sales automation. Remember your Sandler sales training, getting a no from a prospect is just as good as a yes. Focus on responses. If you need help crafting a strategy for your sales automation or want a partner to help you make this a success, let me know—we’re here to help. This article was originally posted on the Integrated Marketing Association website.